Other Products: White Card; Distress Inks Picked Raspberries; Rusty Hinge; Wild Honey; Peacock Feathers; Wink of Stella Clear; Foam Buds; canson water color paper; water brush. Instructions: Card Base is 6.5x7" on white card. Cut a pattern paper to same size for card base. Cut papers to fit the 6x6 shadow box card. Cut the Decorative Medallion Die out in same coordinating paper. Stamp and cut the sweet peony; wildwood florals; classic rose vine and sweet peony leaves, all on white card using coffee archival ink. Stamp the butterflies using coffee archival ink on canson watercolor paper. Cut all these images out using coordinating dies. I colored one of the butterflies with the peacock feathers and the other using rusty hinge and wild honey. 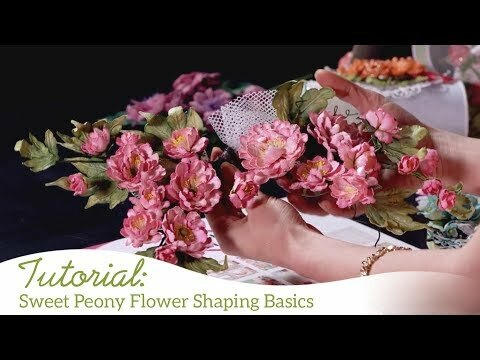 Color all stamped images and then Mold sweet peonies; wildwood florals; classic rose vine and sweet peony leaves using the deluxe flower shaping kit. Assemble the flowers and leaves as shown in my sample, setting the butterfly colored with wild honey and rusty hinge inside the box along with a few of the wildwood florals and classic rose vine. Adhere the blue butterfly on the top right corner on the outside of the shadow box card. Adhere the shadow box card to the Medallion Die and adhere to card base. Assemble the card and detail with crystal clear powder.